So it's fall here officially but Texas didn't get that memo! I think it was 92 today and I'm totally over the heat. Not cool, Texas, not cool! So this summer, before the girls were back in school, we had a fun two days of tie-dying shirts (the girls) and dying fabric (me). It all started with a picture I found on Pinterest of beautiful fall leaves. I threw the image into Play Crafts pallette builder and formulated a color game plan. Now, if you have ever dyed fabric, you know there is no guarantee on the outcome of your colors. The second you pull them from the dryer is the moment you know exactly what color you made. This could be terrifying and exciting at the same time. Score! I was so pleased with my outcome that I waited 3 whole seconds before I sliced into my new fabrics! Quilting is the Kindling pantograph. It's quite dense and creates a wood grain or fire feel depending on how you look at it. It's backed with this beautiful C + S print form Melody Miller's Picnic. I'm obsessed!! This measures at 90" x 90". 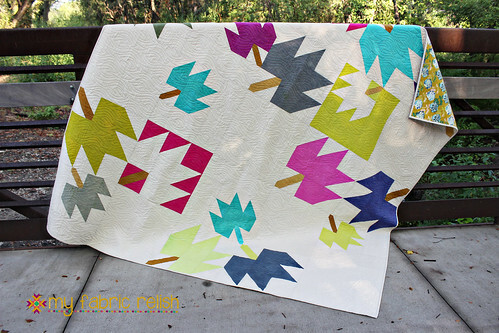 While on the inspiration topic, I want to do a quilt shoutout to my friend Alyce from Blossom Heart Quilts. 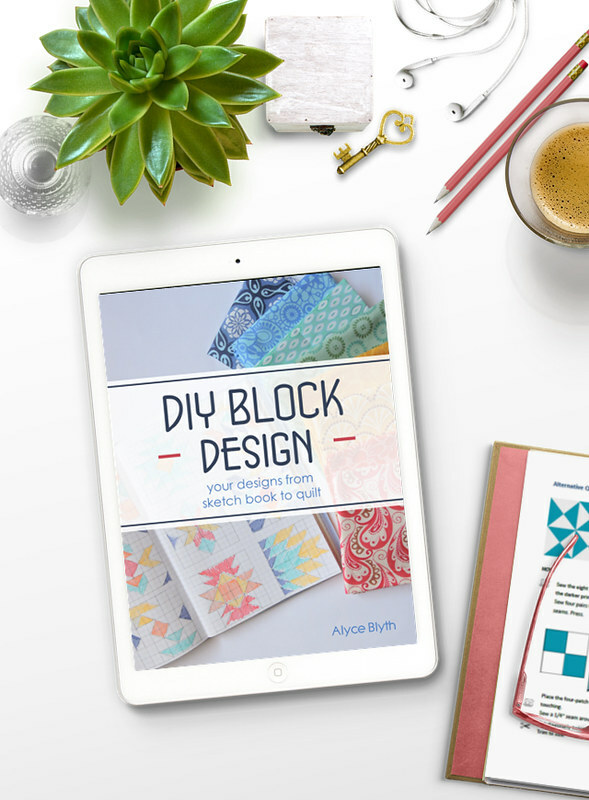 She recently published a book about designing quilt blocks and figuring out the math involved called DIY Block Design (buy it here and it's on sale!) and I had the honor of checking it out before it was officially published and it's awesome! 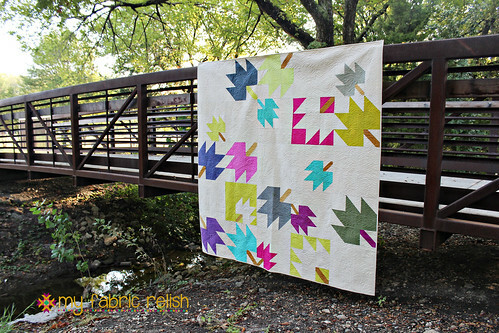 I thought it was perfect for any quilter from the beginner who's learning the basic block construction to the advanced who's just a bit quilt math impaired. 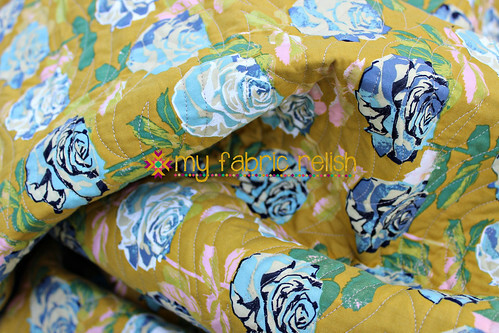 - I am so glad for quilt design software! Alyce is hosting a fun blog hop in October to promote her book and to inspire others to well, inspire! October 9th will be my turn but check out all the details here! I hope you have a great weekend and the fall weather inspires you to create something cozy! 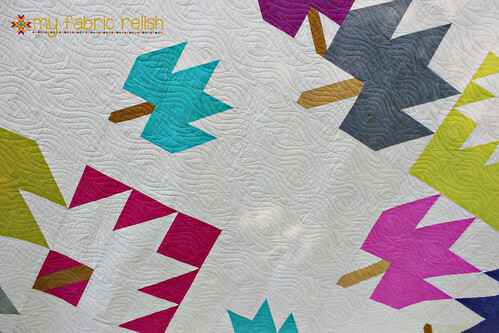 I adore that quilt. I'm totally over the heat too... I bought new fall leggings and a couple of cozy sweaters the other day hoping the weatherman would take the hint. I'm afraid they are going to sit, unworn for a while. sigh! 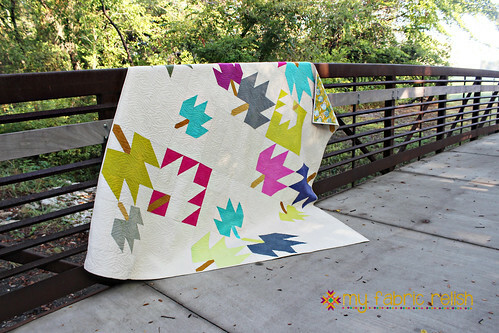 Fantastic quilt and gorgeous colours too! I love it! Fantastic work! It's another 95 degree day here in norcal. Please Fall come quick.